So it has finally happened. That chip that cracked has now split your windshield in half and you can only see through it by leaning over the steering wheel and tilting your head on a ninety-degree angle. Not only is this uncomfortable and annoying, it is downright dangerous. So it’s time to have a cheap windshield replacement. You will need a new windshield and they can be expensive. However, if you know where to look and what to do you should be able to get a better deal or the best deal available in your area. Firstly you will need to do some research, luckily there is the Internet. Or you can always brows through your local yellow pages. 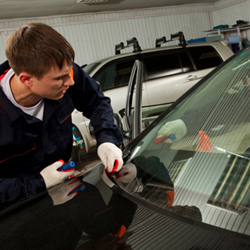 Look for repairers who have deals on windscreens or specials on certain days of the week. Ring up or enquire online about their best price, and if you’re flexible with your time let them know, they might be able to do a better deal. Some people think about doing these sorts of things themselves, and while a good DIY project can be fun, there is a lot of safety concerns with a windshield. Not only does it protect you while you're driving, and it wouldn’t me much fun if you were flying down the highway and the windshield popped out. It also protects you in the case of a rollover accident, it is part of the structure of the car, and it is also the brace for the passenger airbag. Your insurance may cover the replacement of your windshield; it will depend on your policy and how the damage was done. Even so you may have to shop around for a quote for your insurance company. Finding cheap windshield replacement doesn’t have to be hard, but you do need to do your homework. Find at least three different windshield fitters in your area and obtain a quote from all of them. We are more competitive than bigger companies. We can also accommodate 24-hour windshield replacement, so it would be worthwhile getting a quote from us before deciding on a final replacement option. Making sure your window repairer is qualified to do the job is important, as the windshield is such an integral part of your car. When replacing your windshield for whatever reason, look for GlassDM in Plano TX to get the highest quality windshield replacement services. If you have ever had to replace a windshield on your automobile, you could have seen some of the complicated procedures the auto glass installer has to perform. What you may not know is how critically significant those windshield replacement procedures are to your safety and the security of your passengers. A new windshield is held in place by an especially strong adhesive but the adhesive is just about useless unless all of the preparation is done right before the windshield installation. That is the reason why it is so necessary to hire a company whose windshield replacement engineers have been thoroughly trained. We are one of those companies. Auto glass replacement appertains to replacing auto glass in any area of your automobile, including windshield replacement. The other sorts of glass that we replace are car door glass, back glass, vent glass, and quarter glass. Mostly, these pieces are made of tempered glass, in stark contrast to the windshield. That implies they will break into hundreds of little and comparatively innocuous bites, reducing the possibility of injury. If you have found yourself in need a new windshield and do not know how much a new windshield would cost we can help you find out what a new windshield will cost for your car model. No one wants to ride around with a cracked windshield, besides looking bad the windshield keeps the car intact. Once altered, the vehicle is not as solid and may not be as reliable as when before the windshield has been altered. 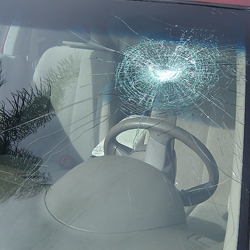 Many years ago, windshields were made of glass and a minor chip could turn into a disaster. Unlike many years ago, now windshields are made up of a laminated glass that usually consisted of 2 curved sheets of glass and a plastic layer laminated in-between, then the windshield is glued to the frame. So depending on where the windshield is damaged, the price can go to very little to a bit more for other parts to be replaced. But without a doubt repairing will be a lot cheaper than replacement. Also depending on how the damage was done, the cost may be covered by insurance, but the only problem with that is many people have such a high deductible you may not think it is worth the effort to call. Then again, it depends on your insurance company some will not charge you a deductible so it is worth the phone call to find out. If you have a small chip or crack in the windshield it may not need to be replaced except if it directly involves the driver being able to see the road. If the windshield needs to be replaced this can run between $140 to $325 you’re your vehicle on the lower end for cars and SUVs then up from there for mini-vans and trucks. If you would like a service to come to you for the chip repair, that is about $75 and if you into the store about $50 for each chip. For a crack repair that is up to a foot $50 to $75; cracks between 1 to 2 feet anywhere between $60 to $75. Anything larger than that, do not let anyone tell you it can be repaired safely, your windshield will need to be replaced by professionals. 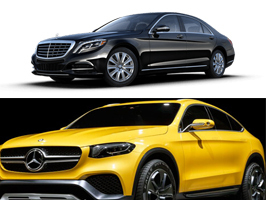 These are estimates so to get a better idea, call GlassDM for a quote for your car model. This way you can get an idea of the cost and whether or not it is a major or minor repair. You never know, you may be able to do it yourself if it is minor.